I’m only still sewing summer clothes because I’ve got a holiday coming up! The weather has definitely taken a turn for the worse here so this is definitely not a weather appropriate make! 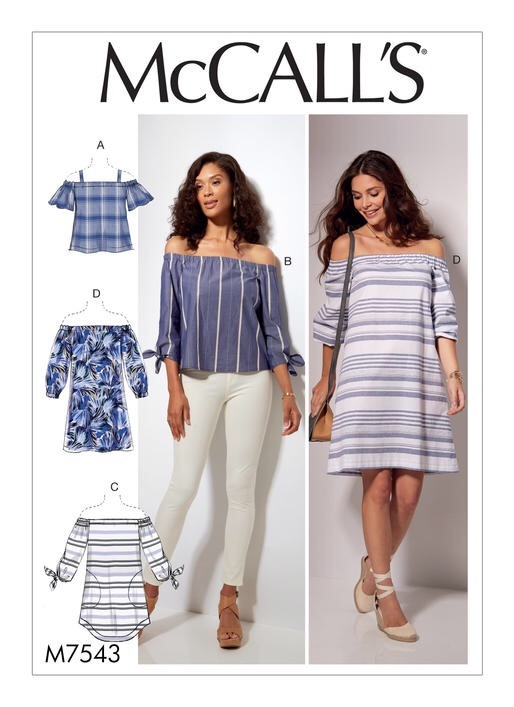 The McCall’s 7543 is an off shoulder tunic or dress. It’s probably quite old trend wise but I really like this style for the summer. It just screams holidays to me! I made something similar as a hack last year but wanted to see the differences with a shop bought pattern. 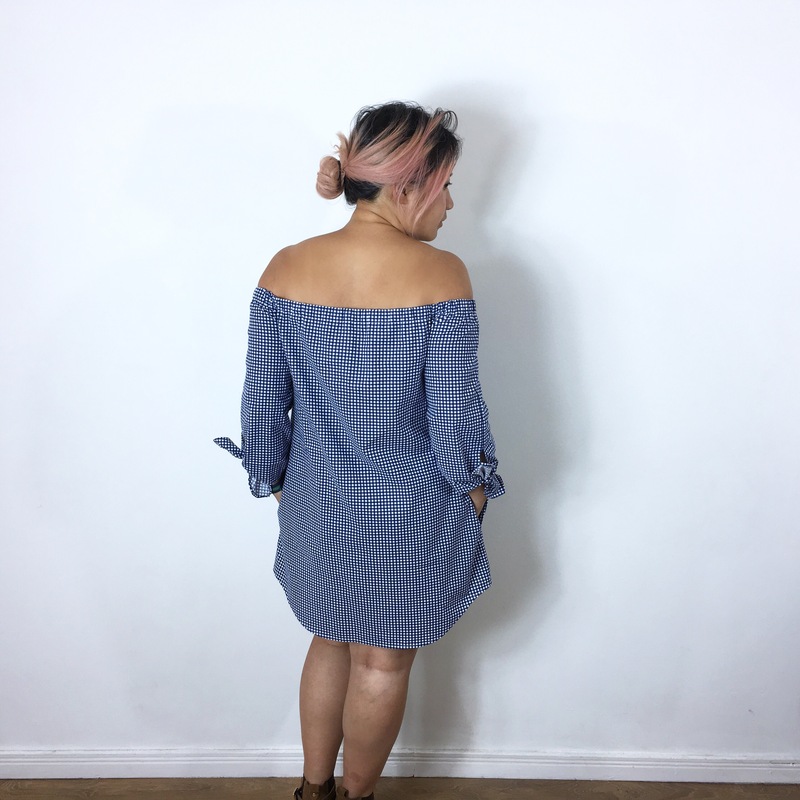 I really liked view C. Although it’s technically a tunic and not a dress I figured I’m short enough that it would work out ok for me! I used some blue and white cotton gingham that I’d bought from Stoff & Stil a couple o front he ago for this make. The fabric is the right weight but I’m not sure the colour is right on me… You can give me your opinion after you see the photos! It’s a really easy make though. It definitely works as a last minute rush job before you fly away! The only tedious part was having to hand stitch the hem of the sleeve and ties and even that wasn’t too time consuming. So lengthwise it worked out! The short side are just at my finger tips which is always my guide to checking if a skirt is too short or not. 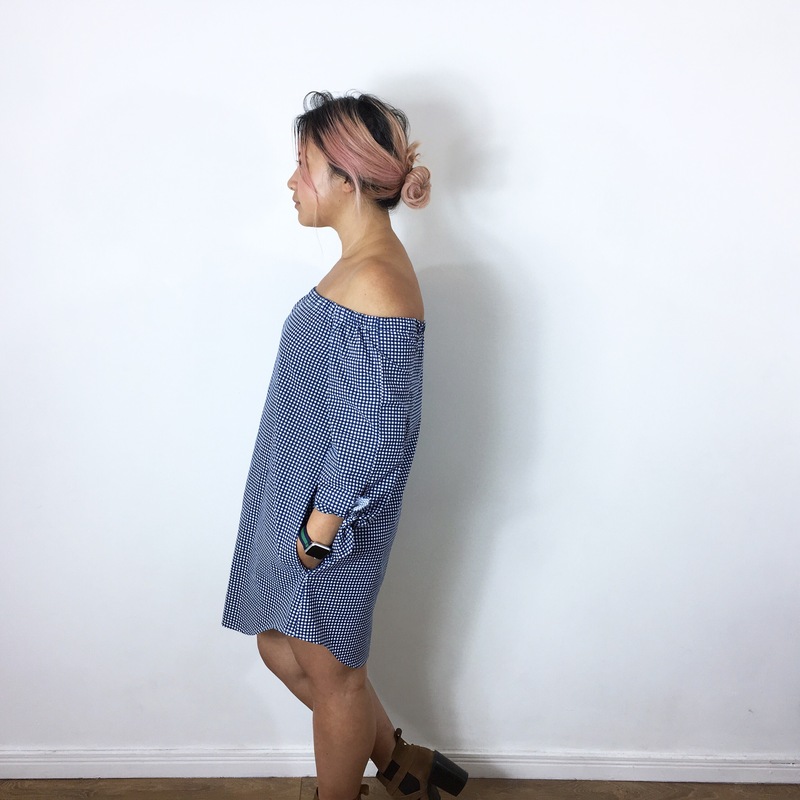 So if you’re 5’2 or shorter you can totally use the tunic version as a dress! This’ll definitely go back into summer clothes storage once I’m back from holiday but I think it’ll be fun to wear whilst I’m in Cuba! 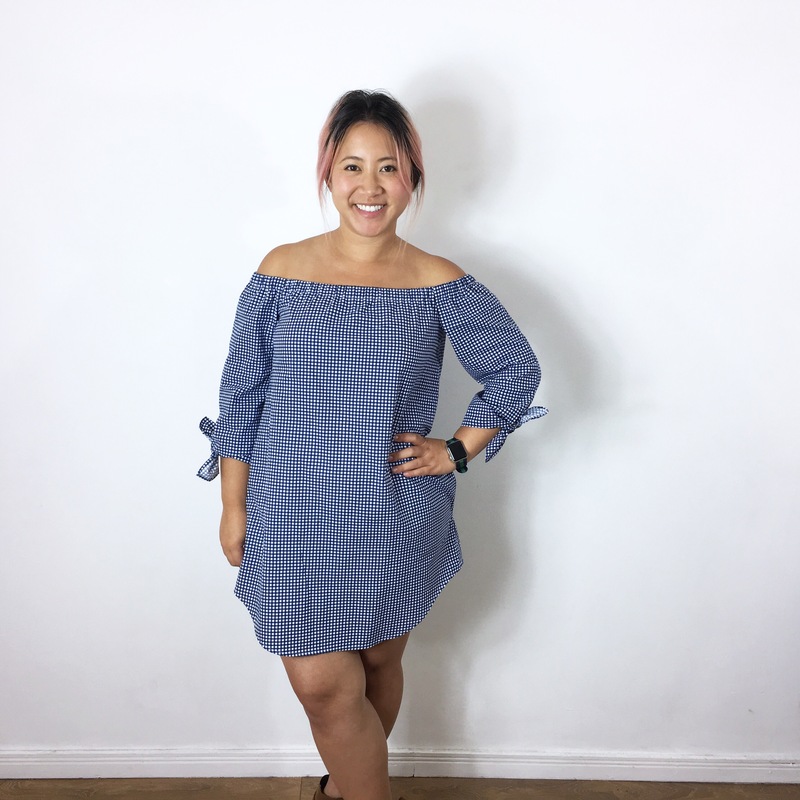 I think it’s the perfect dress for cuba – you’ll feel quite at home in it for sure 🙂 It’s so cute – I like this style on you too – the colour might be a tad drab for you? I’m not convinced you’re a “navy” – seeing you in much brighter blue colours like aqua I’d say you were lighter on the colour wheel maybe? It looks great! I love it in gingham. Oooh Cuba is lovely!! I really like the style and the color for you, I think it worked out great!! That is so cute! I have this pattern but I still haven’t sewed it up. Wow! I love this dress on you, it’s absolutely adorable! I have this pattern and never made it yet and now that winter’s almost here I’m kicking myself! However, I’m in Florida, so the weather can change at any time and give us some warm sunshine…you have inspired yet another person, ME! Beautiful!